Fourteen years ago, I was sitting in an office with a partner discussing upcoming technology trends. During the discussion, we talked about the transition of CRT to LCD technologies, the growth of Plasma and the upcoming transition to large format LCD displays. My partner asked me about this new industry called digital signage and how he could help a customer justify the massive expense. Of course the discussion’s focus turned towards Return on Investment (ROI) and how this can best be measured and quantified. 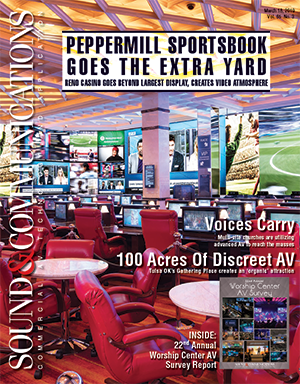 Back then the focus was on looking at hard and soft costs to help a company justify deploying digital signage. 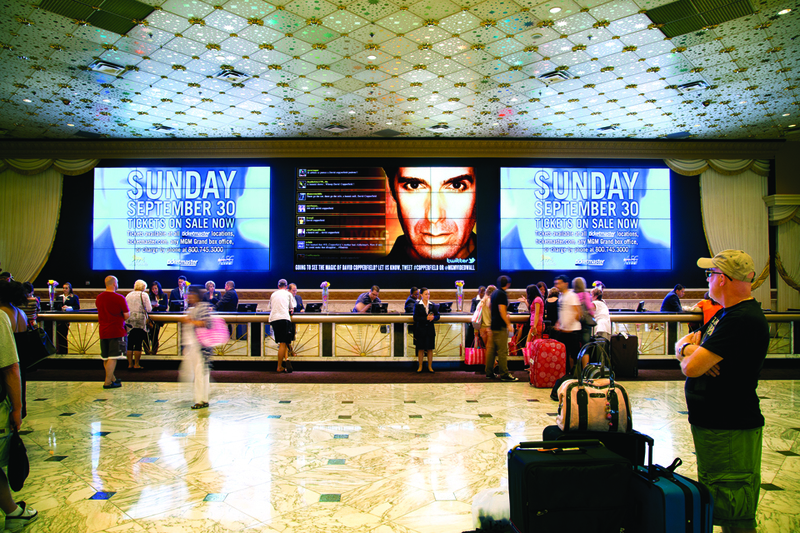 We had studies from organizations like Arbitron stating that digital signage increased sales, decreased perceived dwell times, increased communications and decreased the cost of printing. Fast forward to today and is this still the same discussion? In every meeting that I attend with organizations, the discussion always goes towards ROI and how can they justify doing massive rollouts across their QSR chains, or deploy kiosks throughout their retail stores, or deploy a massive DirectView LED wall in the front lobby of their corporate offices. Understanding the pressures that the organizations face for this financial investment and how to help them develop a plan is crucial. To best understand ROI, there must first be an understanding of Return on Objectives (ROO). Define what is considered to be a success. Once these components are laid out, a true custom-defined ROI is developed. What objectives do you have for the proof of concept stage? What objectives do you have for the pilot stage? What objectives do you have for rollout phase? 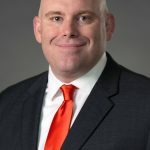 Restaurants may define their objectives as being able to increase sales of limited time offerings (LTO’s), driving customers towards their catering services, increase dwell time in the restaurant, or increased sales of desserts or sides. 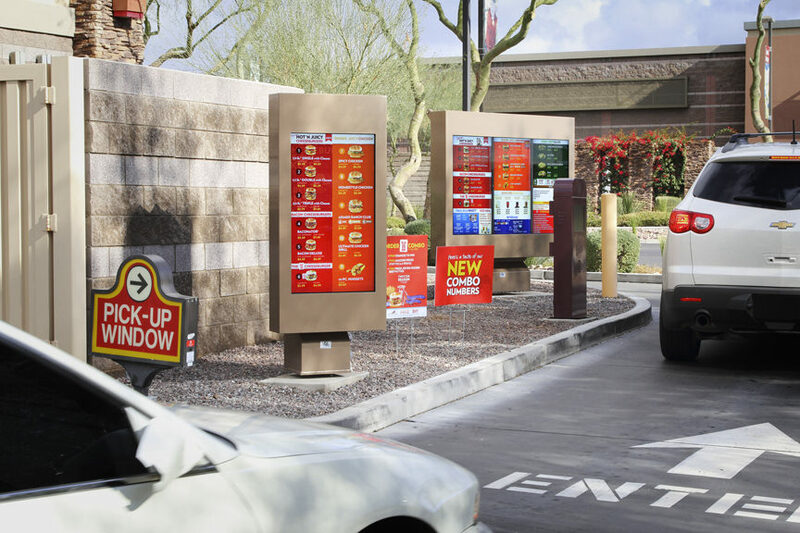 Outdoor menu boards cannot slow the drive-thru experience while also increasing average ticket sales. Retailers may define their objectives as increasing customer engagement, increased sales of accessories, building of brand equity, increased average sales or creating a platform that delivers personalized experiences for their customers. Colleges/Universities may define their objectives as increasing communications to those on campus, expanding on campus security systems, increasing knowledge of on-campus events or increased overall student engagement. Once an objective is defined, the measurement of that objective is next. This measurement can be financial and non-financial. There are different methods of measurement. Simple measurement is to look at the overall engagement with the digital sign and see if defined actions are happening or not. These results can be captured by having interactive content that will capture personal information or feedback. This method can be best applied when kiosks are part of the solution. The next tier of measurement comes in utilizing cameras to measure things like traffic patterns, dwell times and foot traffic. For example, this information can be used by retailers to see if the content and application is eye-catching and will pull the customer in. The content and call to action used in this instance is critical. Analytics can take this even further by measuring aspects like age and gender, which in turn will launch content specifically targeted towards that group. An example would be to have a platform that would trigger types of clothing advertisements specifically targeted toward the audience within the store. A report would then be created that would supply information to allow the retailer to understand who is in their stores during specific days and hours, how long they dwell with the signage system, and which adds are being ran at different times. Once this is understood, the organization is then able to look at point of sale (POS) information and see if there are direct correlations to sales increases due to the signage platform. Once the objectives are defined and determined how they are to be measured, the proof of concept (POC) needs to be setup. POCs are important in helping a company test their hypothesis as well as different ideas and strategies. The test sets the parameters for the project, helps establish what will be measured and defines the scope of the project going forward. The plan is very important and without it you will be flying blind. However, a plan is just that—you also need to be flexible and allow for variables not anticipated during the setup of the POC. These variables can include environmental changes, regionality of content, and reaction from audience, technology challenges and budgets. The plan should include hardware, software, content, services, connectivity, infrastructure and construction planning (when applicable). Don’t jump in and say we are going to do this and that’s that. Have a plan that accounts for a lot of variables. Have multiple parties involved who can lend a hand and an idea to it. The plan will be big, don’t be afraid of that. Your POC may be small, don’t be afraid of that. Success can be defined across many KPI’s (key performance indicators). These can include (but are not limited to) increased sales, increased engagement, decreased costs, increased use of social media, etc. What will the company consider to be a successful implementation/test for all parties involved with the project? Success can also be defined in many ways. Does the project meet their objectives that were defined at the beginning phase? Did those objectives change over time and did the project meet or exceed those changes? These answers will directly point back to the objectives of the solution and measurement. Success does not always tie back to financials. For example, a school may find the system to be a success if the student body is engaged, supplying content for the network, while the branding of the school and the message is conveyed to all. A corporate communications system may be considered successful if the organization’s HR department is able to communicate benefits to employees, which results in a spike in program enrollments. Once success has been defined, the company has four choices during the evaluation process. They may also look to expand the test to gauge different outcomes and applications, or consider redefining success because the original test exposed new information. This will in turn help establish the magical number we call ROI. This is the end game, defining the ROI of the system and creating a successful program. Instead of relying on industry ROI or ‘pie in the sky’ numbers, they will now be relying on truthful numbers that are based on their own system and environment. At my presentation during DSE, I will turn the idea of ROI upside down and look at how objectives, measurement, planning and success definitions will be the formula to create a successful ROI plan. We will look at various markets and how they can establish hard revenue ROIs and soft line ROIs. The goal of the seminar will be to define what signage means to you and how it will accomplish and create success for your organization. Author Rich Ventura will present Session 31 entitled, “How to Accurately Measure Digital Signage ROI,” at Digital Signage Expo 2017 on Thursday, March 30 at 2 p.m. at the Las Vegas Convention Center. For more information on this or any educational program offered at DSE 2017 or to learn more about digital signage go to www.dse2017.com.